The Toronto Sport Leadership Program is a collaborative partnership model that has brought together several organizations for a single goal – to offer certification in sport based programs to students with the goal of increasing employment opportunities. 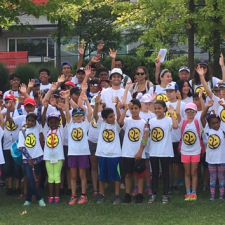 City of Toronto Parks, Forestry and Recreation, the Toronto Catholic District School Board, the Toronto District School Board, United Way Toronto and the YMCA of Greater Toronto are the partners. 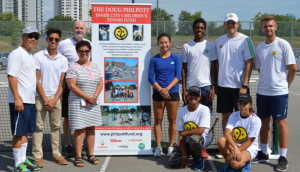 The Doug Philpott Inner City Children’s Tennis Fund is pleased to be a participating organization, along with the support of Canadian Tire Jumpstart and Tennis Canada. This summer a dozen 16 year olds will be coming out to our McGregor site 5 days a week for seven weeks. 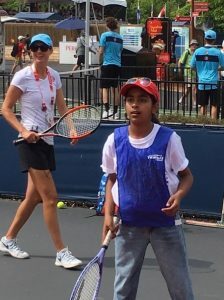 Under the skillful teaching of Head Instructor Ricky Chee and Assistant Christopher Chee, the campers will work hard to bring their tennis up to a 3.0 skill level. Successful campers will carry on through the winter, attending a number of seminars on first aid, resume writing, interviewing skills and working with children. Next spring these sports leadership participants will be eligible to take the Level One certification, offered by Tennis Canada. 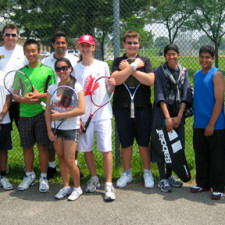 Since our initial partnership with the Toronto Sports Leadership Program three years ago, Philpott has watched 6 young people graduate from the tennis stream of the program. Every graduate has then been hired into our summer program and most importantly, they are leaders in their communities.